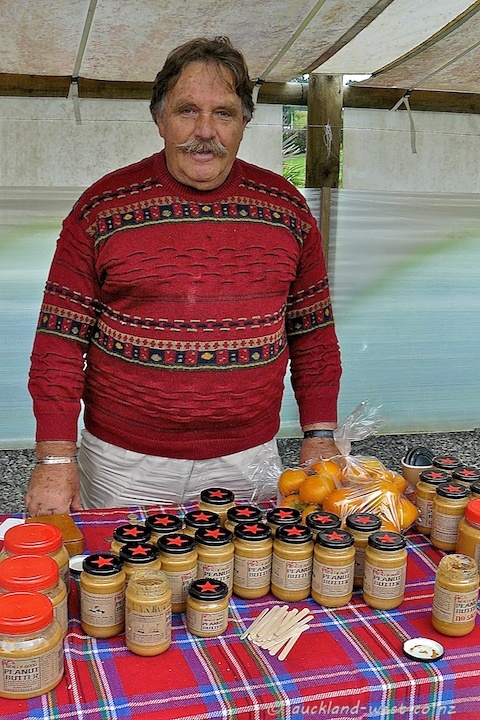 Rex was at the Oratia Farmers’ Market on Saturday, selling his peanut butter. He is a keen photographer, too, shooting on Canon. Another of his passions is genealogy, he is a world authority on the LeGrice/Le Grys/Le Gris/le Grice/Grice/Le Greiss family tree, and can trace the family back to 1066. Check out his website at legrice.net. I mentioned that our sons had gone to Kohimarama School – where there was a headmaster by that name; indeed, he was all familiar with that. Parsley, Sage, Rosemary and … Dunno! He must have been working on his family genealogy for a long time since it is so time consuming. Your photo reminds me that I have neglected our market this week-end. Must remedy that. Wow, that is impressive work, I have a journalist in the family and he has traced my family back 300 years.